MANILA, Philippines — As expected, the� Bangko Sentral ng Pilipinas� (BSP) decided anew yesterday to keep interest rates steady for the meantime as it recognized risks to� economic growth� due to the failure of Congress to pass the 2019 national budget. In a press conference, BSP Governor� Benjamin Diokno� said the Monetary Board kept the overnight reverse repurchase rate at 4.75 percent, the overnight deposit rate at 4.25 percent and overnight lending rate at 5.25 percent. 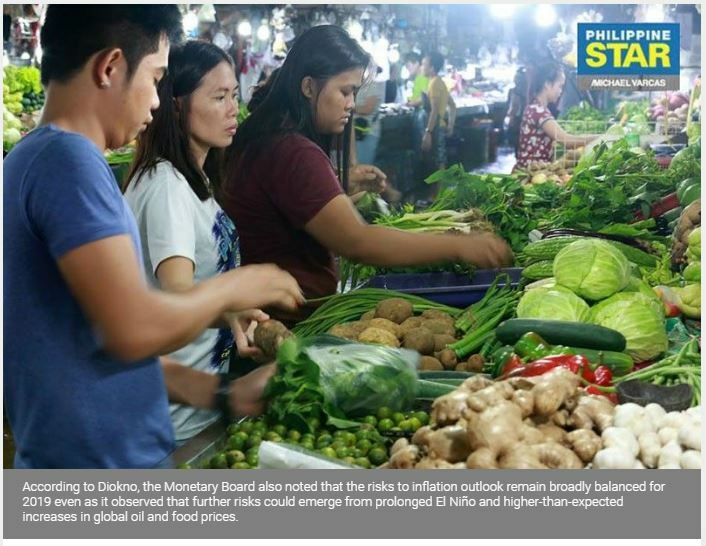 Diokno said the decision to keep benchmark rates on hold for the third straight rate-setting meeting since December was due to the slowing down in inflation which is now expected to ease� back to the central bank’s two to four percent target for both 2019 and 2020. “However, there are risks to� economic growth� in 2019 if the current budget impasse in Congress is not resolved soon,” he said.